When looking for baby furniture Columbus, Ohio is the area where you will find it. The Amish Originals Furniture Co. has been operating in the area since 1992. There are no other furniture companies in the Ohio area that can offer what we can. You’ll find that our selection and prices cannot be beat when it comes to this style of furniture. Cribs — The Amish Furniture Originals Co. offers several types of cribs. The Gabrielle is one of the most popular conversion cribs that we offer. The kit comes in several different types of woods: brown maple oak, cherry, quarter sawn white oak and hickory. The Christian Jacob crib is our second largest seller, and it comes in the following woods: cherry, brown maple and oak. Also, you may want to look into the Heirloom Crib. This conversion crib has a natural look and comes in the same selection of woods. 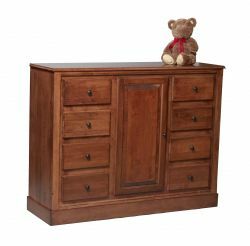 Storage — If storage is something that you are looking for, then you may want to try one of our Classic 8-Drawer Dresser. This dresser is everything you need as it offers lots of room and style. The Classic Wardrobe is just another piece that the Columbus, Ohio store offers. It converts to a dresser and a changing station. The Mission 4-Drawer Dresser is much smaller, but convenient as it offers large pull out drawers and made of durable wood. Accessories — Besides dressers, we offer much more. We understand that having a baby is a full time job so that is why we offer high chairs, rockers, rocking horses, toy chests and wooden toys just to name a few. These accessories are handmade. They are very unique, and your children are going to love them. For more of what we have to offer, stop by and see as you’ll love our huge selection. We have something for everyone here at Amish Furniture Originals Co. Our prices are very competitive as you’ll find furniture and accessories that cannot be found anywhere else. Give your children the style they deserve. We use the best woods to create our furniture. The Amish community builds each piece to perfection. That’s why when you shop with us, you can design your own style by picking out the wood and finish to match the details of the baby’s room. So the next time you’re in the market to purchase baby furniture, stop by the store as you’ll always find what you want. We have a large selection of different furniture that is so unbelievable. When shopping for baby furniture Columbus, Ohio cannot be beat when it comes to Amish Furniture Originals Co. We are the number one choice in the area for this type of furniture. Come by today or check us out online. We’ll be very happy to see you and our staff will always greet you with a smile.